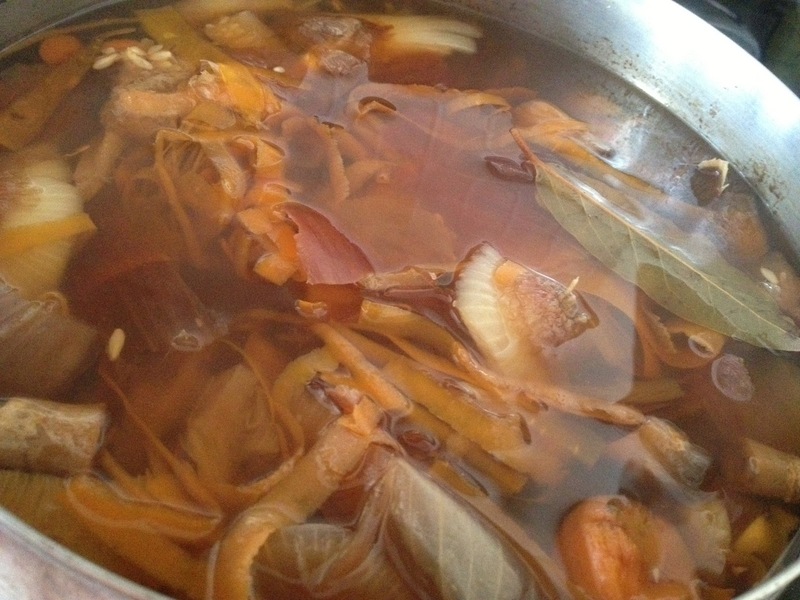 When I took my class at the Natural Gourmet Institute, I learned how to make roasted vegetable stock. Our teacher tossed beautiful vegetables in olive oil and salt and roasted them for an hour. Then he placed them in a big pot with water and other seasonings and cooked it for another hour. After he strained out the vegetables, he tossed them into the compost pile. What a waste, I thought. In the meantime, I usually buy stock. What a waste that is too. 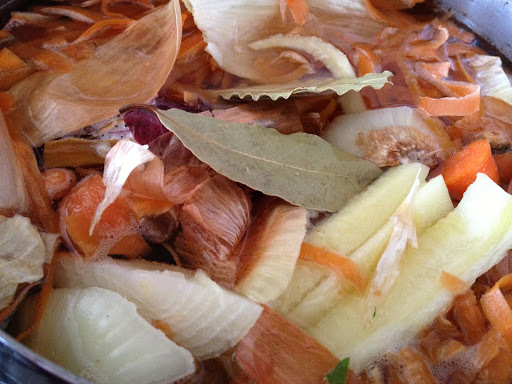 When I started composting, I realized that much of what I was tossing were the scraps of the vegetables that would be perfect in stock so I started storing them in a big freezer bag. When I have about 4 cups, I put it all into a pot with 8 cups of water and 2 bay leaves and cook it for an hour. Then I strain out the scraps and compost them anyway. 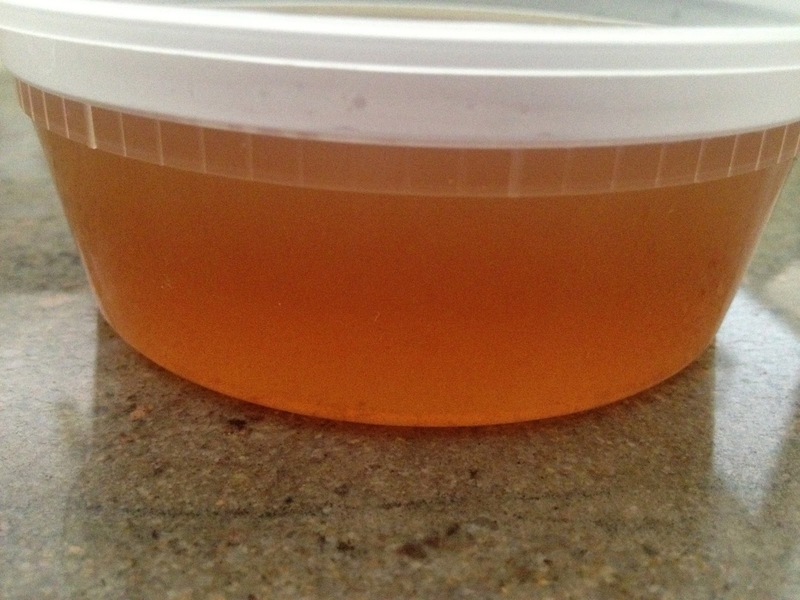 It smells like the best vegetable soup when it is cooking and the stock comes out super flavorful. Place scraps in pot. Cover with water. Add bay leaves. Cook for an hour. Strain out the scraps in a fine mesh strainer. Compost scraps. Store in containers in the refrigerator (if using soon) or freezer. I use 8 oz. containers so it makes using in soup, rice and risotto easy. Enjoy!